One evening over a malty minis evening, my fellow whisky explorer and I did a little online shopping for our combined Whisky Ladies and Bombay Malt & Cigar club… the result was an exceptional collection from independent bottler North Star. However we were also distracted by the Master of Malt dramples – wee little 3 cl sample bottles that enables you to explore “drinks by the dram.” Who could resist?? My tasting cohort and I selected a range from That Boutique-y Whisky Company which has made a name for itself with its quirky bottle designs that look more like graphic novels than whisky labels… and for the quality of their small batch whiskies. 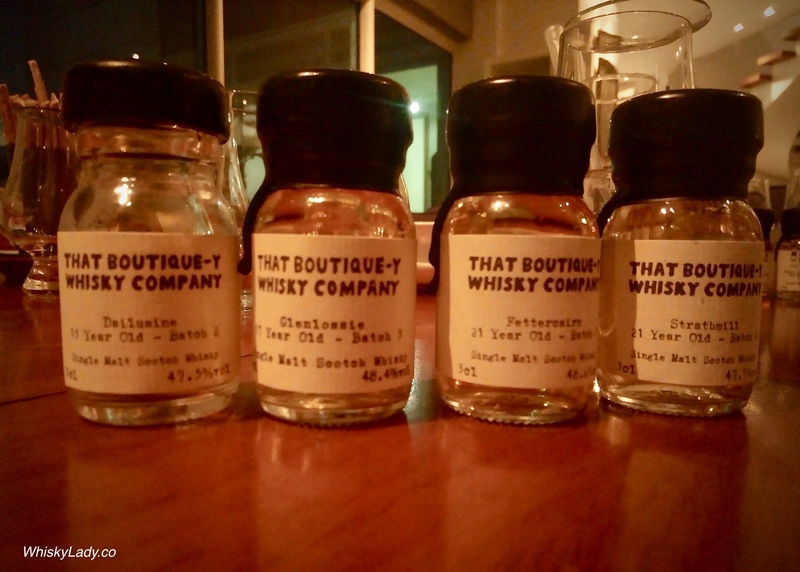 So what did we pick for our That Boutique-y Whisky Co explorations? As these whiskies came out some time ago, you won’t find more details on the “That Boutique-Y Whisky Company” website. This entry was posted in Whisky General and tagged Minis, That Boutique-y Whisky Company by Carissa Hickling. Bookmark the permalink.